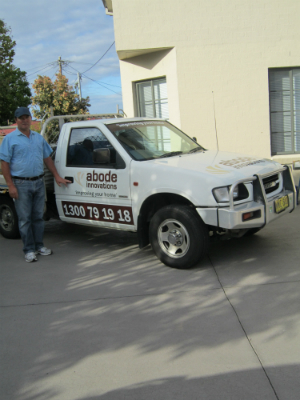 Abode Innovations is a boutique “home improvement” building company with over 28 years’ experience. We have successfully delivered projects by dedicating to liaise and work closely with our clients to achieve the desired look of your home and courtyard entertainment area, creating an environment that reflects your character and a comfortable experience. Call Us Now on 1300 79 19 18 for a No Obligation Free Consultation & Quote! Professional Advice On the Job – What works & what doesn’t work. FREE Design valued at over $550. On the Spot Quote for your peace of mind - No Nasty Surprises later. If you have a Quote from one of our Competitors, we will beat that by 10%. This is a No BS Guarantee! What Are you Waiting for Call me Now on 1300 79 19 18. • Stainless steel wire balustrades. An average job could be anywhere from $5000 - $15000 depending upon your specific requirements and required materials and we will work closely with you to determine the best pergola or decking solution to meet your budget. To see specific examples of our work please visit our gallery page or to hear what our customers say about us please check out our testimonials. Sam is passionate not only about delivering the best value pergola and decking solutions in Sydney but believes in providing exceptional service with a personal touch. Unlike most other builders in Sydney by choosing Abode you get to deal directly with the owner ensuring all work is completed to the highest standards. If you're in the Sydney area and looking to build a new pergola or deck look no further than Abode.